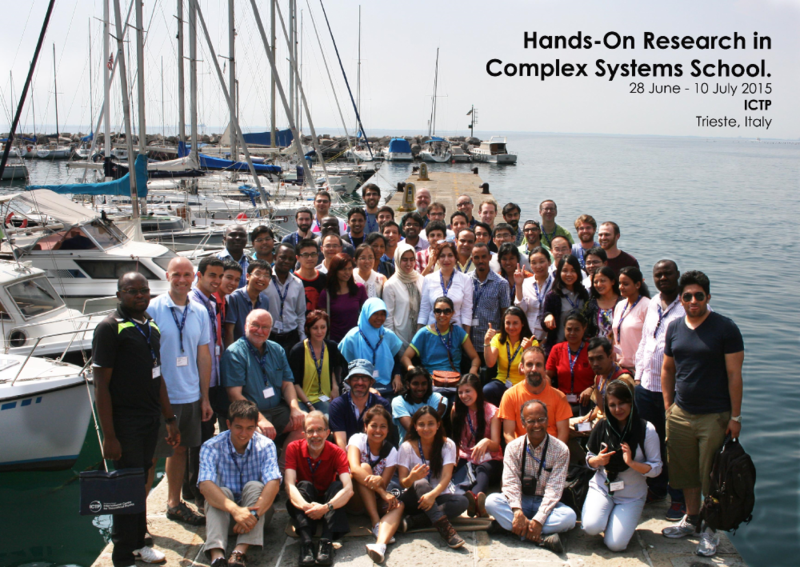 The Hands-On Research in Complex Systems Schools are designed to introduce graduate students and young faculty from developing countries to table-top scientific research on problems at the frontiers of science. Experiments on physical, chemical, and biological systems are conducted with modern yet inexpensive digital instrumentation, and the laboratory work is complemented by mathematical modeling and data analysis using Matlab. Each day for two weeks, small groups of 4-5 participants and two instructors work closely together. The close interactions lead to subsequent exchange visits and scientific collaborations. The participants are able to introduce new tools and demonstrations into the classroom and teaching laboratories, and to use these new tools in their own research. 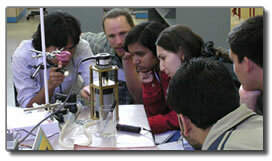 Thus the Hands-On Schools foster the development of scientific leaders in less developed countries. These two-week-long schools provide an interactive experience with hands-on research involving tabletop experiments with real-time computer data acquisition and associated computational modeling. Lectures and hands-on experiences focus on complex systems in the physical and life sciences. This research is inherently interdisciplinary, and topics range from biological networks to spatial patterns in fluids to laser chaos. The school faculty are eminent scientists who have conducted frontier table-top research published in leading international scientific journals such as Nature, Science, and Physical Review Letters. While many areas of research now involve large numbers of collaborators using very expensive instrumentation, the Hands-on Research Schools focus on frontier research that can be conducted by individuals or small groups using rather modest instrumentation. Examples are taken from research of the faculty members, who lecture and lead small groups in laboratory sessions that involve running experiments and performing associated mathematical and computational modeling. The modeling and the acquisition and analysis of laboratory data are performed using Matlab. 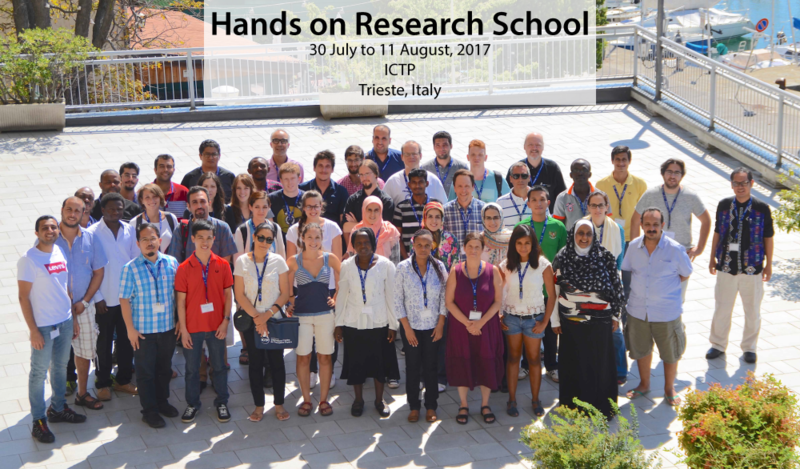 2016: 18 July - 29 July at ICTP, Trieste, Italy. 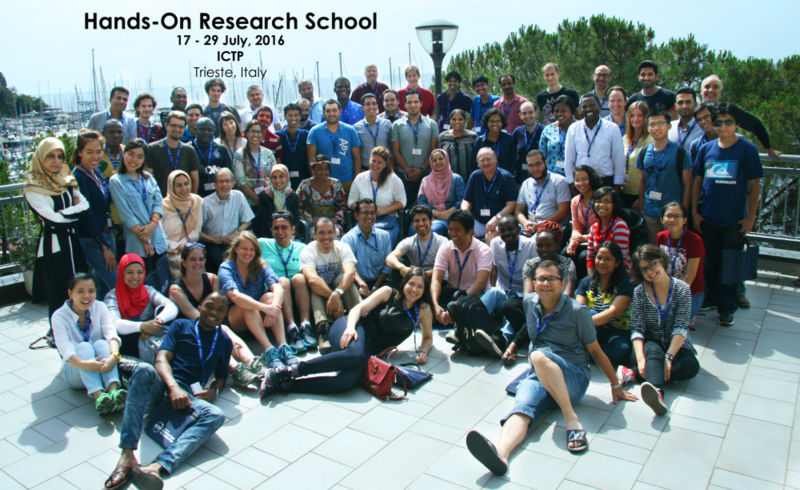 2015: 29 June - 10 July at ICTP, Trieste, Italy. 2014: 29 June - 11 July at ICTP, Trieste, Italy.